I am interested in purchasing TS 480 HX and running it off the battery bank at my cabin. 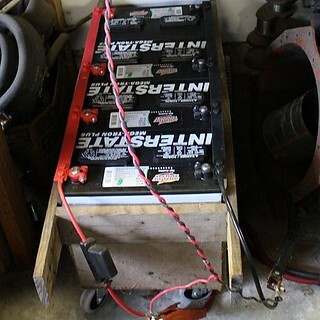 It has 6- 6v deep cycle batteries hooked in series parallel for a 12 volt system. My problem is keeping voltage at 13.8 volts. I need advice on voltage converter to keep voltage at 13.8v -41 amps to run the radio at 200 watts. thanks for the help. My ts480 is happy with lower voltage such as 50% discharged SLA battery, but you are right to run the rig on higher voltage. I keep 'em in my garage in a litter w/ casters. The first four batteries gave up after "only" about a dozen years. In the field, I've used 'em with a homebrew 25A DC-DC boost regulator to maintain 13.8V to the rig. At over 90%, efficiency is similar to the N8XJK unit (link) or the MFJ-4416C unit (link). The HX version requires more power than either of the two suggested boosters. You could use two unit, but that isn't a very good solution due to the HX's built-in current monitoring system. TGE made 50 amp boosters, but they're out of business, but you can find them used. Many hams are lured by more power, to (supposedly) transmit farther. However, over the past five decades, I've found 100W works fine. Buy the 100W version w/ the ATU, and avoid many power supply concerns. If you use a better antenna, it'll RECEIVE better as well. WA8FOZ and KU3X like this. So if you choose you may use two perfectly identical power supplies as well. If you use a better antenna, you won't need an internal ATU inside your 480. Then you can buy the HX and throttle back the power on the odd occasion if you REALLY need to. Although is so very nice having 200Watts FM on 10m on tap to get into those distant DX repeaters while you out mobile mountain topping. I miss my 480HX so very much. 200 watts is only 3 db gain over 100 watts. 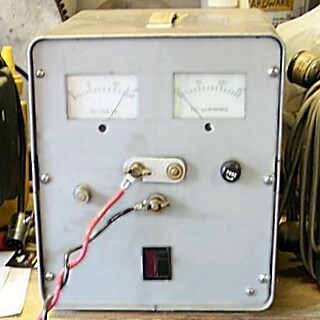 So if you are S8 to the ham you are talking to, you will be S7-1/2 with 100 watts. So unless you are contesting or trying to break a big pile up, it really isn't worth running 200 watts. Plus your operating time will almost double, before you hit your low voltage point, if you only run 100 watts. Running 50 watts is even better. Put your efforts in the best performing antenna you can use. We need to remember that we're speaking of SSB, not FM. Thus the dynamic range increase is 6 dB. That level of increase is easily noticed. I have been a ham for 43 years and very often run portable. I have NEVER seen a 6 db gain (1 S unit) increase when going to 100 watts from 50 watts. It was always a half of an S unit. The same goes when I go from 100 watts to 1500 watts. It is ALWAYS a 2 S unit difference. That is based on radios that use the normalized 6 db per S unit. Unlike radios like the Kenwood TS 990S that does not used that benchmark.